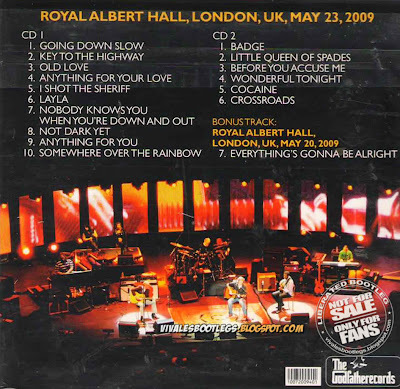 Recorded Live at Royal Albert Hall, London, UK - May 23, 2009. Files: 17. :: Size: 769 MB (flac). 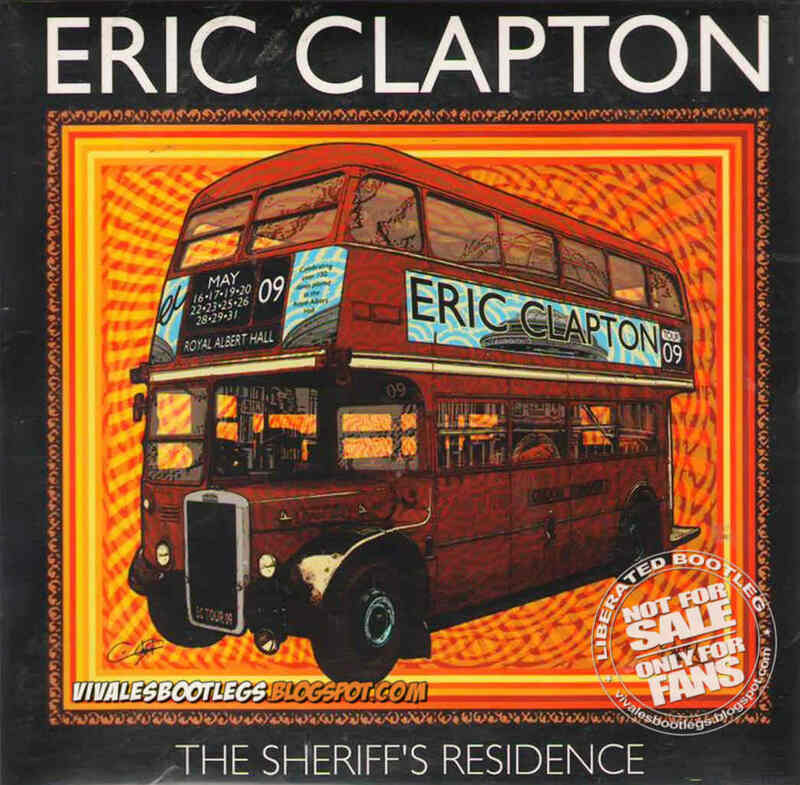 Personnel: Eric Clapton: guitar, vocals :: Andy Fairweather Low: guitar, vocals :: Steve Gadd: drums :: Willy Weeks: bass :: Chris Stainton: Pianos and keys :: Tim Carmon: Hammond and keys :: Michelle John: backing vocals :: Sharon White: backing vocals. 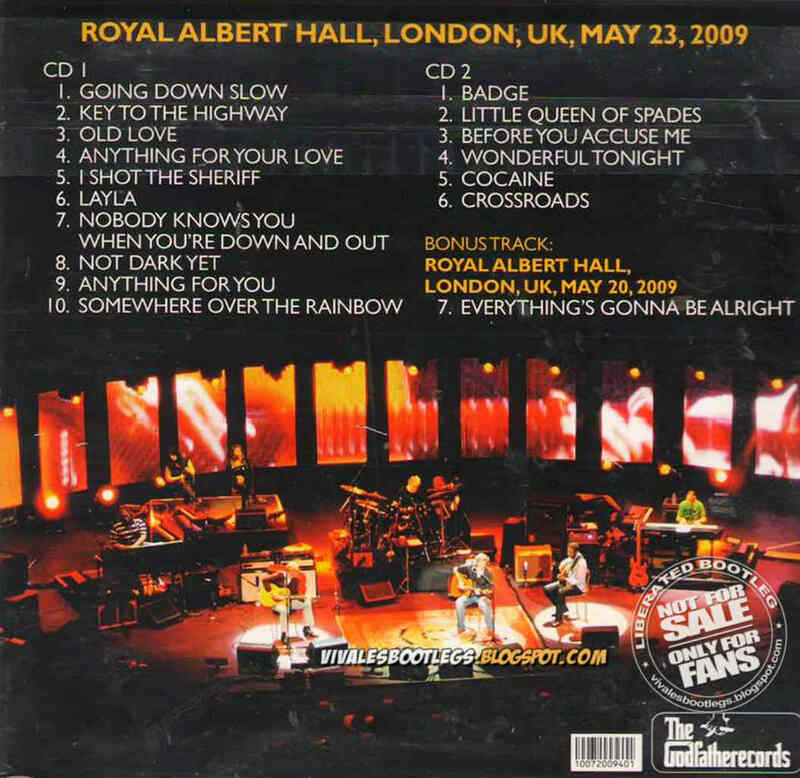 The Sheriff’s Residence documents the sixth of the eleven shows Clapton played at the Royal Albert Hall. Godfather use an excellent, clear and dynamic audience tape of the entire show which is up to the same high standards as the other tapes to emerge from this series of shows. The pattern of the set pretty much remained the same but with minor variations over the various concerts. Godfather includes as a bonus track “Everything’s Gonna Be Alright” from the May 20th show. This was played in the set in lieu of “Not Dark Yet” in about half of the RAH concerts and is included for completeness’ sake. The label use several photographs from the show on the inside cover of the gatefold sleeve. The eleven shows are all documented in great sounding tapes and most of them now are released in excellent silver editions. 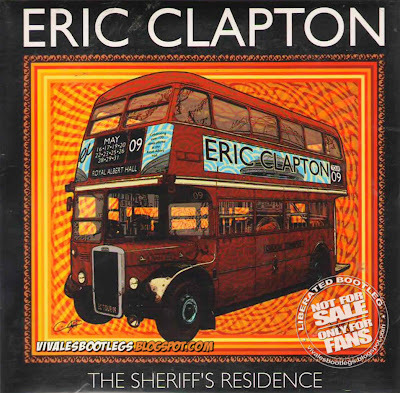 The Sheriff’s Residence is an impressive Clapton release on Godfather worth having.<-(Info taken from collectorsmusicreviews.com).